The courses are held at the PPG National Training Centre in Mt Wellington. Twice a year the founder of Airbrush Venturi, Tony Vowles, comes to Auckland and offers an intensive 10 Day Course. He is assisted by Warren Houston, one of NZ tops airbrush professionals and a 30 year veteran. Between them you will experience an airbrush course that is unique and will exceed your expectations. Class times are Monday to Friday, 9.30am to 5.00pm for two weeks. Students receive comprehensive printed notes of everything they are taught over the 10 days, to enable them to reinforce their learning over and over, and to make sure that nothing is forgotten. Click here to go to the Course Location Timetable to see the actual course dates. The courses we conduct are very intensive, and it is important that the preparation and organisation for them be very thorough. If every student brought their own equipment it would be a nightmare to co-ordinate and seriously reduce the quality of our courses. 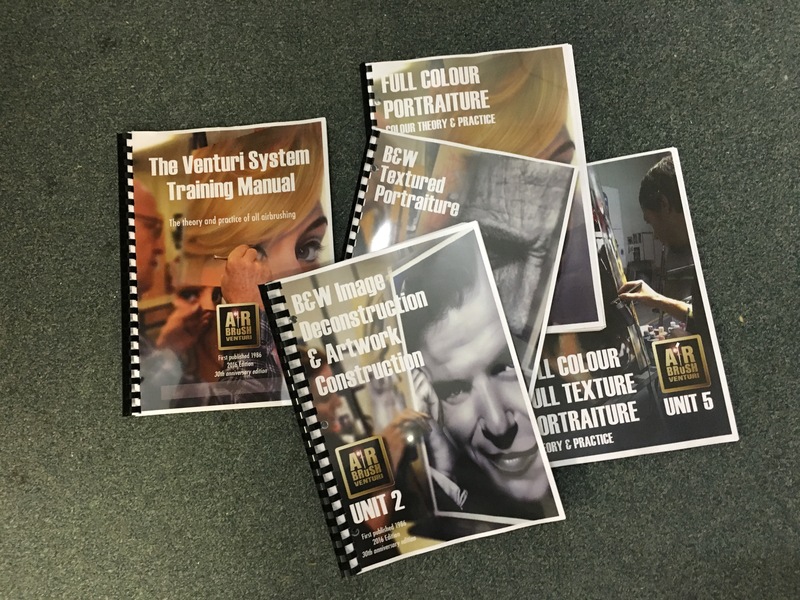 For Airbrush Venturi to offer the best courses possible, we must provide carefully chosen equipment and materials for you. * Note: Students may bring their own airbrushes into the classroom but Airbrush Venturi does not accept responsibility for the security and performance of outside equipment. While the whole point of doing classes is so that you can airbrush at home, and will therefore need to have your own set-up there . . . it is unreasonable to expect that you set yourself up at home, until you know whether you enjoy it and feel that you would like to go on and take the art form seriously. By Airbrush Venturi providing everything in class, you get to try out airbrushing and then if you enjoy it, you can then take the next step of setting yourself up at home and start doing your own projects. Airbrush Venturi does not sell airbrush equipment and materials. While it is affiliated with Airbrush Supply Network PL, the Airbrush Venturi team only teach airbrushing. We supply the highest quality equipment and materials you can get in the world. We supply the worlds best airbrushes, airlines, couplings, inks, papers, masking materials; everything. This includes height adjustable easels that enable you to raise and lower you work, to set up every stroke in the best way possible. Your fees include comprehensive course notes that build into a 500+ page manual over the 5 units of the course, the most comprehensive book on airbrush techniques you could ever wish for. Everything is laid on, to ensure you have the best possible training experience and achieve the best results possible. If you wish to discuss the course, please text +61 418 324 530 with your name and the nature of your questions and Tony Vowles will arrange to call you at a time of your choosing.